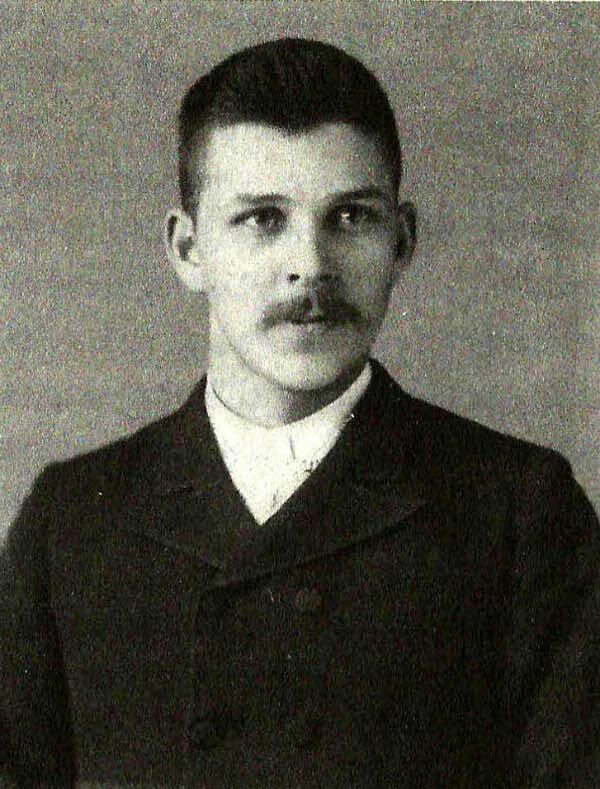 The new book Car Crazy documents "the battle for supremacy between Ford and Olds and dawn of the automobile age." This wonderful book was written by G. Wayne Miller, filmaker and author of seven works of nonfiction. It is available at Amazon and Branes & Noble websites. 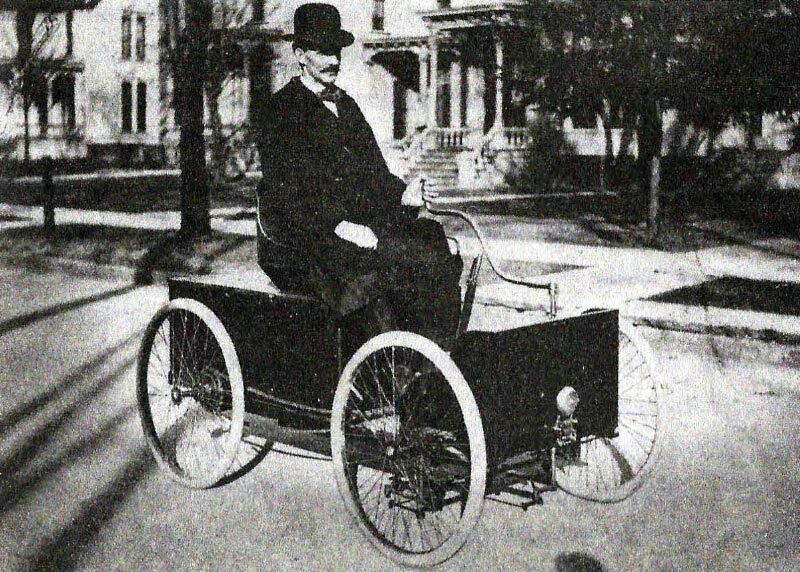 Henry Ford driving his 1896 Quadricycle. 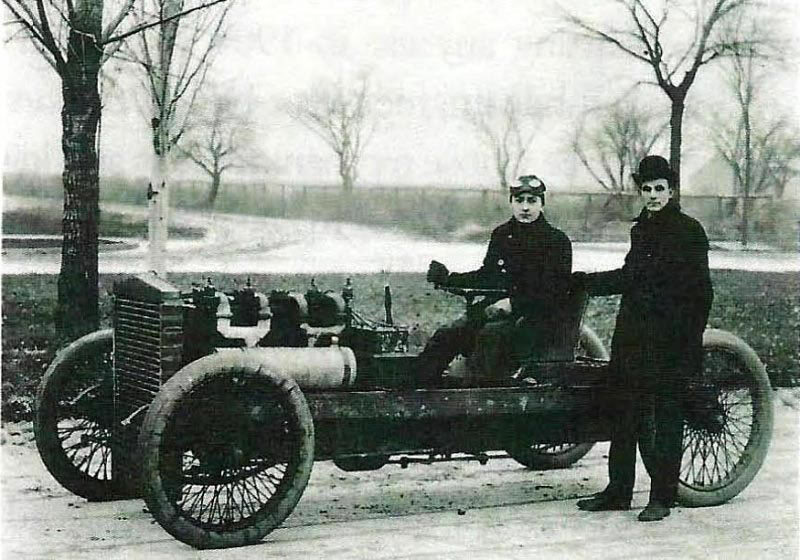 In 2012, History Channel's "Men Who Built America" featured a re-enactment of the 1901 Race with the Sweepstakes with the dashing Henry Ford (played in the race by Ed LaBounty in his 1913 White) and the very handsome Alexander Winton (played by me in the 1909 Alco Black Beast). 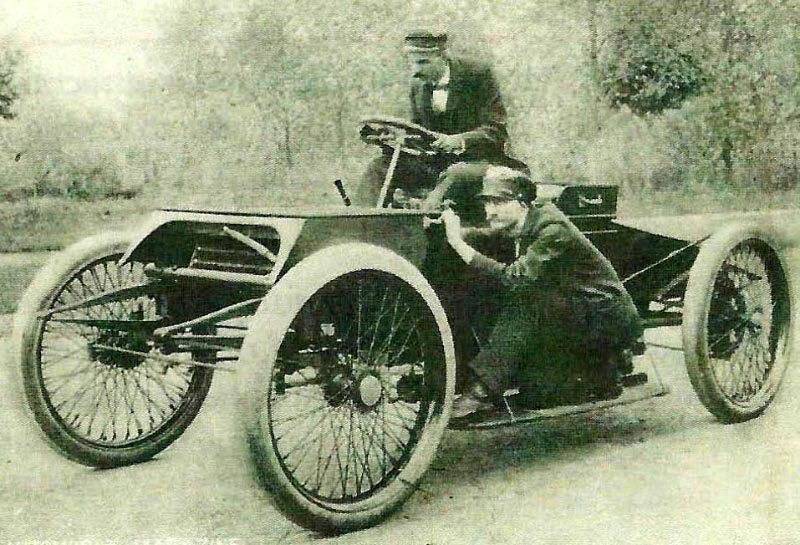 Barney Oldfield and Henry Ford with the 999 racer in 1902. 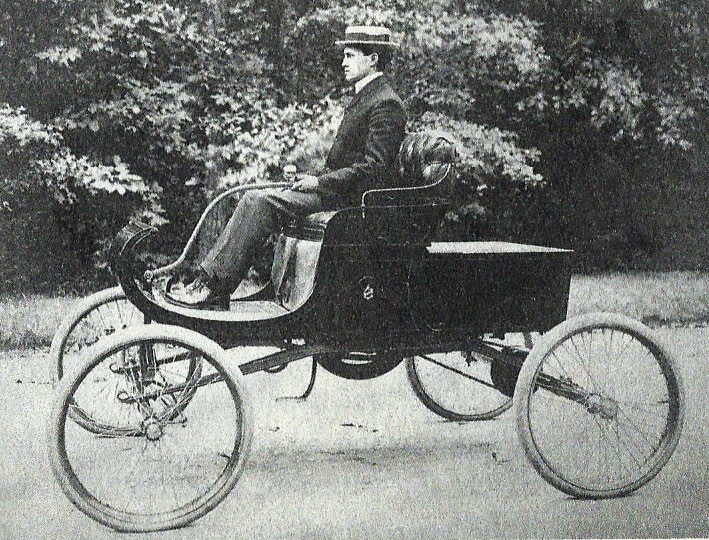 Roy Chapin, Oldsmobile sales chief and test driver, in a 1901 Curved Dash. 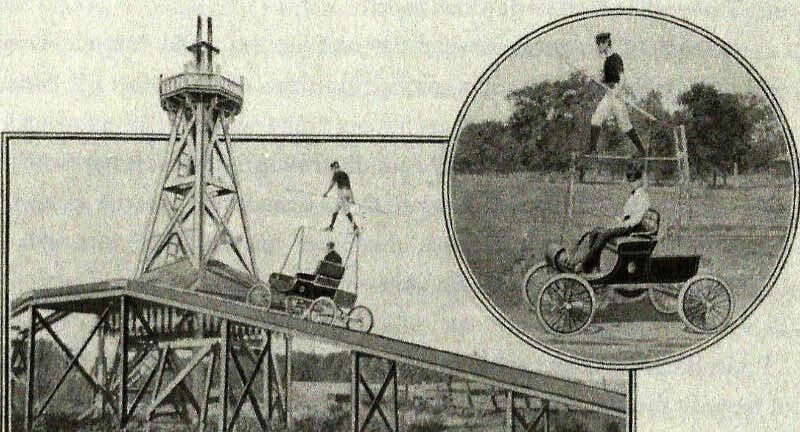 The 1903 Oldsmobile catalog touting the Curved Dash's smooth performance.